After giving tribute to our dear Mother, it's a turn for our father's to get that same tribute after all, we will not be here without our father too. With all the sacrifices that our mother gave us, our father has been there to give us the support, love and caring. Searching for gifts to give for your loving father, Magnet Printing by U Printing.com is creating beautiful magnets that can also be personalized. I so love collecting magnets especially flags from different countries. U printing offers different services that will suit your needs. You can visit their site to learn more about their services. 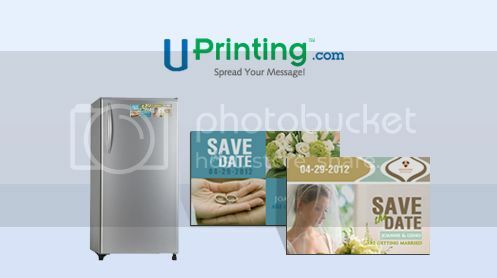 Visit UPrinting Business Card Magnets Page and leave a blog post comment telling me your preferred card size. Like Melandria's Musing on Facebook. On the comment section, don't forget to put your preferred card size, facebook url and the url of your facebook share. 1. Winners are allowed to win once over a six-month period. 2. Only email addresses used for the giveaway will be eligible to claim the prize.